Amongst the many articles published this month, the piece in Power & Motorboat was one of the most significant. Alan Harper is one of the most respected yacht reviewers in the industry. Though very critical, he gives owners honest insights on new products in the yacthing industry. 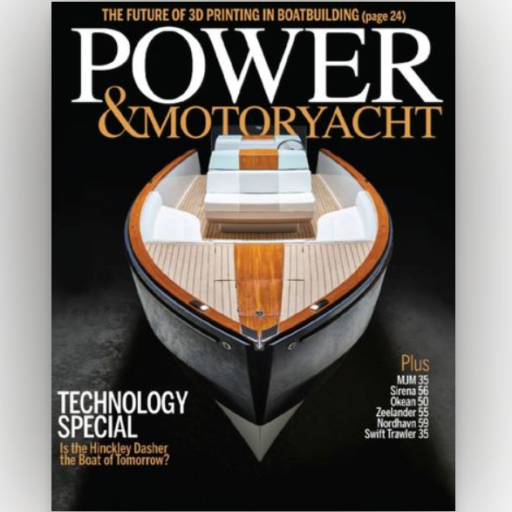 Power & Motoryacht is the leading marine magazine for powerboat owners with boats over 25 feet. Each issue is fact-packed with information on boats and boat maintenance, new boating equipment, advice, and filled with beautiful color photography of the latest boats and boating destinations. Read the article by clicking the button below.